Our final Bragging Rights on Thursday Nights for 2017 was held on September 28, 2017. In lieu of no entry fees all year for our guests, we asked them to donate a non perishable food item. 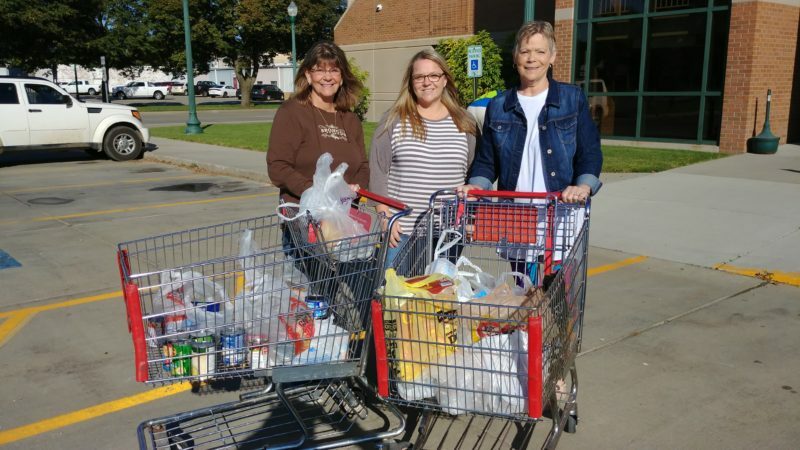 Jenn Grate, lead agent, was fortunate enough to deliver 2 carts full of food items to our local food pantry/contact center. Huge Thank You to our Bragging Rights Attendees! Our Hearts Are FULL! THANK YOU to everyone that has supported Bragging Rights On Thursday Nights in 2017! What an AMAZING show of support! Thank you to our Non Profits, Our featured guests, and all YOU, our friends, who make each Thursday possible! See you in 2018!